The accommodation at The Kingdom Hotel is nestled around a vast man made lake so all the rooms have a view whether they look inward towards the lake or over the bush on the outer perimeter of the hotel. Classically decorated in warm colours with furnishings that feature local Zimbabwe teak, all rooms have air-conditioning, all important in the hot summer months. Many rooms have a balcony overlooking the lake and water features which are a perfect spot to stop, relax and de-stress. The Kingdom hotel has a total of 294 rooms. 40 with twin beds and bunk beds.Paraplegic rooms which are easily accessed from the main areas of the hotel are available for disabled guests. En-suite bathrooms some with bath and separate shower some with shower combined with bath. 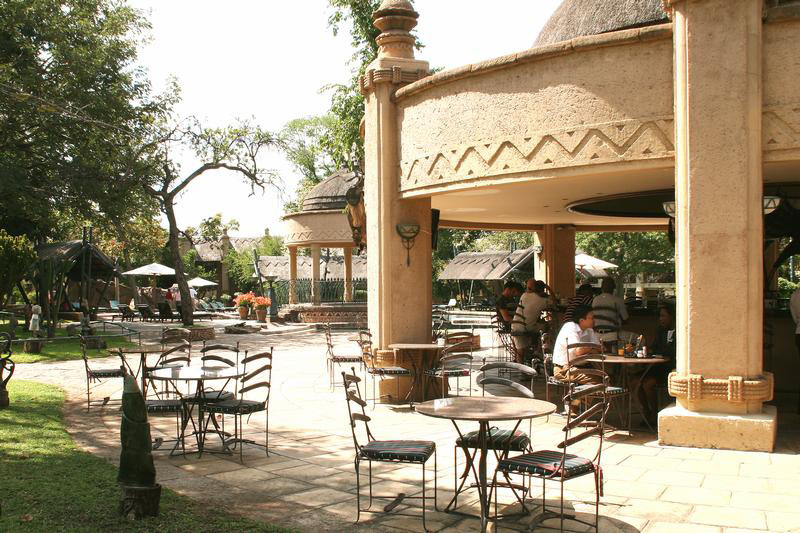 The Kingdom Hotel offers a full range of facilities that one would expect at a modern resort. Parking: Secure open air parking at the front of the hotel. Dining: The Kingdom has a selection of restaurants to choose from. The white waters restaurant is the main restaurant where breakfast is served daily. There are a number of additional restaurants within the Great Enclosure. Bars: The hotel has four bars including a poolside bar. Safari Health and Beauty Spa features a hair salon and two adjoining therapy rooms where one can enjoy a variety of treatments using Clarins products. Baby sitting facilities are offered on request.